What’s got two thumbs and loves Power Pop? Since then he’s put out music with his band New English, as a solo artist, and he’s played with or shared the stage with everyone from Meredith Brooks to Queen Latifah. If you’ve seen “Daddy Day Camp”, his work is in that movie as well. Sykes’ latest solo offering, Classic New Rock, continues to deliver the pop goodness from the moment you press play. “That’s American Life”, the album’s first track, instantly reminded me of the opening of The Who’s “Anyway, Anyhow, Anywhere” with the strumming that opens the album. I was able to talk to Sykes about the song and he said that he wanted to start the album with a sound that is typically used in an ending…brilliant! The cool thing about this opening though, is that he uses a chord that creates a lot of tension. As soon as the guitar strumming ends – he resolves this tension beautifully, and the song turns into an infectious, upbeat pop song worthy of any of the finest Power Pop albums. You can check out Joey’s video for the song below. The album moves right along with “I Go There”, which is another infectious, and well-crafted pop song. “When Life Goes Right”…well, that’s a song gone right. This song is loaded with key changes that keep you on your toes as he weaves from the verses to the chorus. It’s Power Pop writing at its finest. After Sykes serenades you with a few pop gems he cranks up the juice a bit on “Everything Must Go” with a monster guitar riff. But it’s not just a song with a great guitar riff – it’s another fine example of Sykes’ ability to hook you with realty great a chorus. A couple of the songs from this album feel like they could’ve been plucked from the Coward album. One in particular, “In Case You Want To Know”, nailed that pop formula he used in the past – upbeat, guitar driven, and that unmistakable high pitched “Woo Hoo” heard in that amazing album. Honestly, all he would’ve needed was Roger Joseph Manning Jr.’s synth playing and you’d have a Coward song. Regardless of how you want to describe it - it's just a killer pop song. I could make this review a mile long by dissecting and gushing about just about every song on the album – but to keep it readable I’ll refrain (as hard as it is to do!). 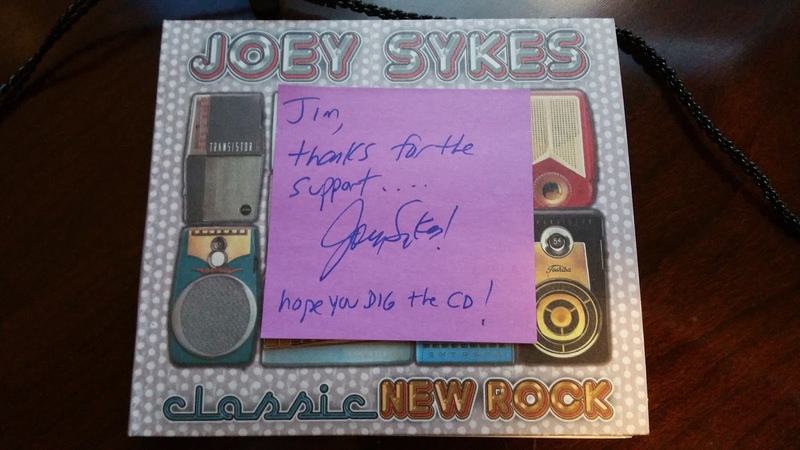 But if you're still not convinced you should go out and support Joey by buying this album after reading to this point - I will say that Sykes absolutely KILLS it on the Raspberries “Go All The Way”. I mean kills it. This song is worth the price of entry alone. Sykes has a lot going on in this album. On the surface it sounds like great Power Pop. Yet underneath the hood, much like a duck that looks graceful floating on water but is paddling furiously under water, there’s a lot of great writing going on. As a detailed listener, it’s very gratifying to listen to writing like this. The average listener may not understand all of the nuances of the writing (key changes, building/releasing tension through the use of different chords, etc.) but in the end, they’ll like it because it just sounds good. From the opening blast of 'That's American Life' to the spot-on cover of The Raspberries' 'Go All The Way,' it's an album that's full of new songs that feel like old friends. I couldn’t have summed it up better. That’s exactly how you feel when listening to this album. 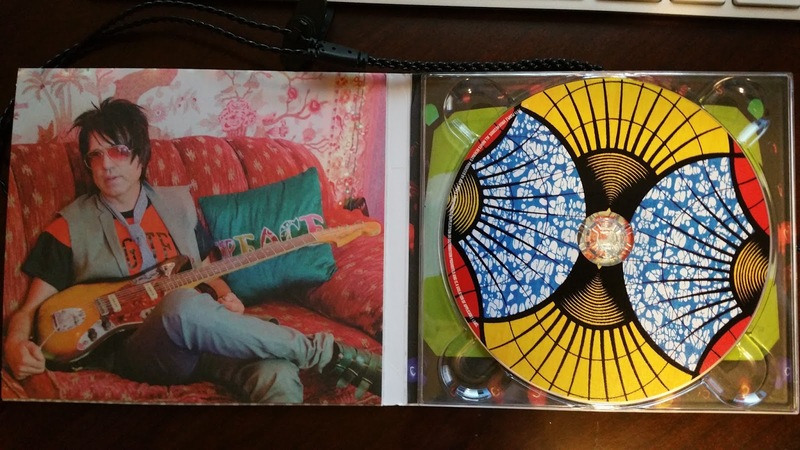 It’s easy to listen to, and from the first time you throw on the album – it feels like you’ve listened to it before. You hear his influences - but they're not worn on his sleeve and that's what gives the album that familiar, cozy, Power Pop sound. 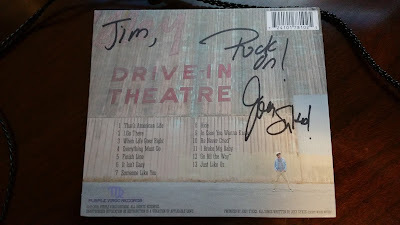 If you’re into Power Pop – check this album out - it’s worth every penny. It’s a solid effort and Joey gets two big thumbs up from me for Classic New Rock.